for the fiscal year ended in March 2018. Hardware Nintendo Switch sales reached 17.79 million units globally, thus surpassing the forecast. Meanwhile, software Nintendo Switch sales also went above the estimates with a combined 68.97 million units figure. Needless to say, the lion’s share was taken by Nintendo’s own titles. Below you can check the best-selling games for the platform which have crossed the million threshold. Lastly, Nintendo released a forward-looking statement for the next fiscal year ending in March 2019. 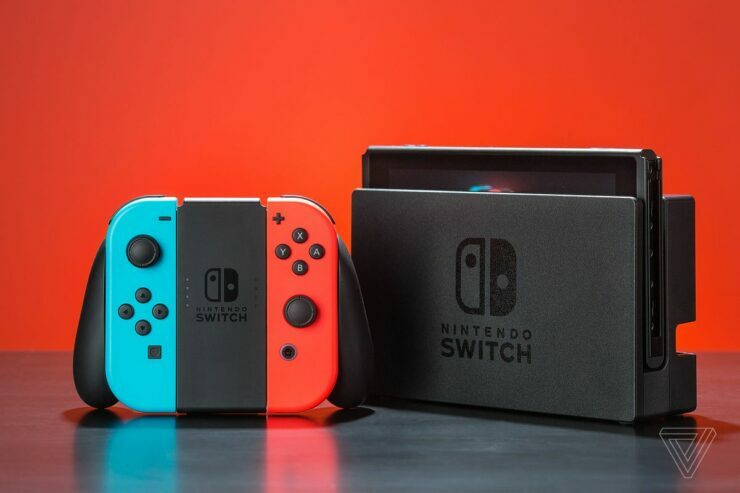 Consumers have been very receptive to the new concept introduced by Nintendo Switch as a home gaming system that they can take with them to play anytime, anywhere, with anyone, which helped it maintain its favorable momentum during this fiscal year. Looking ahead, we plan to leverage this momentum to reach an even broader range of consumers and expand the installed base of the hardware. Specifically, we released Nintendo Labo in April as an offering of a new way to play, and then we are slated to release Mario Tennis Aces in June, as well as the latest entry from the popular series, Super Smash Bros. (temp.) within the year. We expect to release several hit titles from other software publishers as well. Then in September, we will begin offering the Nintendo Switch Online paid service to expand the online functionality of Nintendo Switch. Our goal is to take full advantage of the platform by continuously introducing compelling new software while further increasing sales of popular titles that are already in the market.